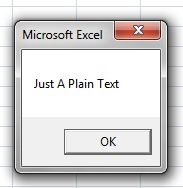 In VBA Excel Macro, Message Box (Msgbox) is one of the important features. Right from warning messages to calculated values in your code or anything. Whenever the code has something to communicate to the user, it can be done through Message box. Thank you for writing this informative post. I’ve been reading for a while however I’ve never posted a comment. 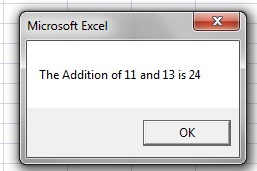 Glad that it was helpful . Thanks for such motivational comment. 217 queries in 0.100 seconds.